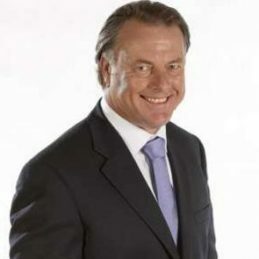 Dwayne Russell is a radio and television commentator with 3AW and Fox Sports AFL coverage. Known as a knowledgeable, humorous and enthusiastic caller, he has become one Australian sport’s premier commentators. Russell’s rise to prominence began with the ABC in 1997. In 2002, when Channel Nine began coverage of AFL, Russell was added to the considerably talented commentary team. He moved to Fox Sports in 2007 and continues to add well rounded description of all the action. Russell also hosts Sunday night highlights show The Winners, recapping all the action of the round. Along with AFL, Russell has called Olympic and Commonwealth games hockey, Australian open tennis and NBL basketball on Fox Sports. Russell sits alongside Gerard Healy as host of popular 3AW radio program Sports Today in Victoria which boasts a massive regular audience. Russell has previously been a regular columnist in The Sunday Age and The Geelong Advertiser. Originally from Port Adelaide, during his playing career Russell was known as a powerful forward during his four-year AFL career with Geelong. He was part of star-studded forward line alongside Barry Stoneham, Billy Brownless and the great Gary Ablett. He kicked 51 goals in 60 games and played in two grand finals. Russell also played 71 games with Port Adelaide in the SANFL and represented South Australia in state or origin competition four times including once as captain. A distinguished and highly recognizable voice in Australian sport, Russell is at home in front of the podium as an MC or keynote speaker.